How much are UFC Tickets? Now don’t get me wrong I love sitting at home watching UFC or hanging round a friends watching it, but being in the arena live while the fights are happening in front of you in the cage is a completely different and much more charged experience, especially when there is a few fights at the event that you really want to see. Today we are going to give you all the fight analysis and full ticket information for the hugely exciting UFC 234 Whittaker vs Gastelum fight card happening on Saturday 10th February 2019 at the Rod Laver Arena, City of Melbourne, Australia. Both men are class acts outside the cage, but inside the cage both men are ferocious amazing fighters both having true KO power in their striking and both men have the true warriors spirit in their general ways in and out of the cage. Lots of respect for both men and this could be one of the best striking match ups of 2019 in my opinion and being for the Middleweight title is a perfect cherry on top for this big card down under! Also in the co main event we have a true passing of the guard type of match up in the legendary Anderson Silva going up against the sky rocketing striking sensation in Israel Adesanya. So who’s on the whole card? Robert Whittaker vs. Kelvin Gastelum (TITLE FIGHT) – This is a proper main event for all the marbles at Middleweight with two fighters in their absolute prime. I really cannot see anyway that this is not an amazing back and forth fight, which is almost guaranteed to be mainly contested on the feet. Both men are too tough to be finished early I believe, so I definitely wouldn’t be surprised if this goes the distance. But for me there is one factor to pay close attention too leading up to this fight, and that is both men have fought Rolando Jacare Souza and while both men beat Souza – it was Whittaker that finished him in the second round via brutal TKO, while Gastelum went to a close split decision with Souza. Also while only Whittaker has faced and defeated Yoel Romero twice, Gastelum has fought Chris Weidman and lost to him via submission and Weidman himself was violently knocked out by Romero – now while MMA math doesn’t always work out well in reality, I feel that it will in this fight so I’m going with Robert Whittaker to retain his UFC Middleweight title. The only curve ball here is the string of injuries Whittaker has had before this fight, so I wouldn’t count out Gastelum completely but gun to my head im definitely going with Whittaker in this fight. Anderson Silva vs. Israel Adesanya – OH MAN! This fight is almost too much for the mind to comprehend in terms of visually watching it. Like I said at the top, this fight is one of the most exciting “passing of the guard” type fights I think I have ever felt. Anderson is historically one of the truly greatest strikers to dominate in UFC history, a living legend – but Adesanya looks like a young version of Anderson Silva pulling out amazing striking displays/KOs in every fight against elite fighters. He has a clean 15-0 MMA record and before MMA Adesanya also amassed an impressive 75-4-0 Kickboxing record. Everyone always wanted to see Jon Jones vs Anderson Silva back in the day, but I believe due to both men’s respect of each other the fight never materialised – and this fight really feels like such a similar fight to that, but as much as I love Anderson Silva plain and simple I think this fight will make me sad as I fully expect Israel Adesanya to KO Anderson after some early feeling out in the first round. Both men at times in their career look like they are playing a video game in the cage, with so man virtuoso performances from Anderson through the years and Israel slowly building just as impressive of a highlight reel. You can never completely count out Silva based on his experience and phenomenal feats throughout MMA history – but Adesanya really is something special so I expect him to build his name by defeating the legend Anderson Silva. Jim Crute vs. Ryan Spann – I’m looking forward to this bout as both men looked decent in their last performances, both coming off wins and Jim Crute looks like a solid Australian talent. If he can get past Spann in this bout I will be impressed, but personally I’m going to go with Spann to give Crute his first MMA loss. Then on top of the above amazing fights that are worth the ticket prices alone, we also have: Shane Young vs. Austin Arnett, Kai Kara France vs. Raulian Paiva, Montana De La Rosa vs. Nadia Kassem, Wuliji Buren vs. Jonathan Martinez, Rani Yahya vs. Ricky Simon, Teruto Ishihara vs. Kyung Ho Kang and more fights to be announced over the coming weeks! 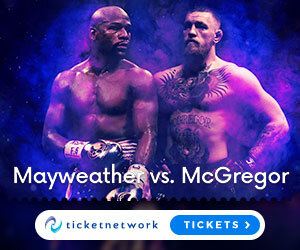 So every UFC event does have varying ticket prices based on where you want to be seated in the arena (seats closer to the cage are more expensive), how many big name fighters are competing at the event and also what the UFC’s running costs are to host the event at a certain arena because every arena has its own pricing structure. So this all needs to be factored into your ticket buying decisions. At this UFC 234: Whittaker vs Gastelum fight card the ticket prices are currently ranging from $175 – $18, 483 meaning there should be a ticket for any budget you have. Its really going to be an amazing night of Fights especially in the Rod Laver Arena which has a capacity of over 14,820. If you want to start looking at ticket prices now, then you can do that on this awesome ticket booking site! It’s gona be madness down under! Man I love Australia, It reminds of England where I was born but only with more Sun, more interesting wildlife and oh yeah one of the most interesting MMA events coming on the current UFC Schedule. I fully expect this to be a night of madness down under for this UFC 234: Whittaker vs Gastelum card on Saturday 10th February 2019 at the Rod Laver Arena, City of Melbourne, Australia – and I wouldn’t want any of you amazing MMA fans to miss out of it if you want a cool holiday and some amazing MMA to watch. If you are ready to take some action and make a booking for the event then you can do that right HERE. I have to miss this event due some family commitments, but I will be watching on TV and hoping loads of you out there get your place at this amazing looking event. I hope you enjoyed today’s post, so leave a comment or a question below. Then make sure you like, share, subscribe that helps the site out a ton – Keep an eye on the upcoming List of UFC Events and as always stay tuned for more from the world of MMA right here at the MMAGateway.